Over the years, advancements in technology opened many new doors. One of them being that of the doorway to the new world of digital marketing. Ever since its entrance has remained wide-open. As a result of this new found discovery, dealerships learned they needed to move away from the more traditional methods of doing business. This was not a smooth transition, but it had to be done. It took a long while before dealerships began making alterations to their operations, but to stay relevant to customers, they needed to meet their new expectations. Ultimately, causing the customer journey to develop into something entirely new. These powerful changes are how digital marketing transformed the car buying experience, forever. Numerous modern methods are replacing the old ones. Roles have been changed, reversed, and even flipped upside down. Digital marketing has definitely left its mark and is here to stay. It is somewhat hard to grasp, not only the number of changes, which have occurred but to what the changes have been applied to in the car business. Sales, quotas, and dollar signs were once items at the forefront of all managers and salespeople’s minds. Although it is obvious these factors are still crucial to business, it can no longer be as highly attached to the customer experience as it once was. 87% of organizations agree traditional experiences no longer satisfy customers. Due to the massive variations in the automotive industry, digital marketing is how customers express to dealerships that the car buying experience is what matters most to them. At one time, the dealership was the place car buyers went to gain information and to look at cars. Today, customers are educated long before walking into a dealership, that is if they go into one at all. 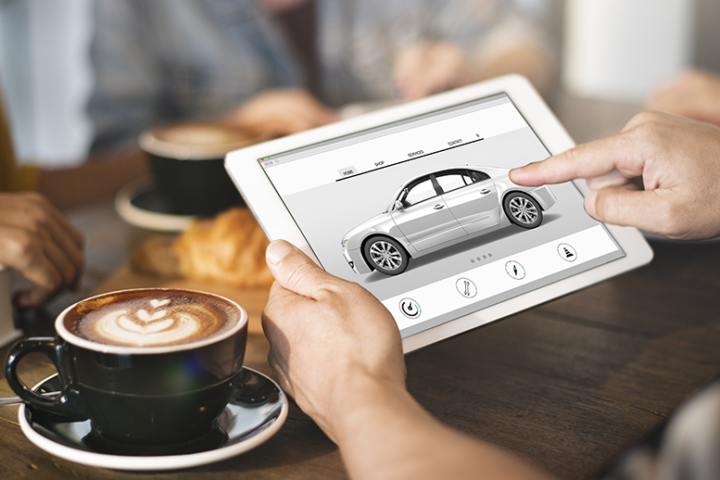 It has been found that 88% of car buyers use the Internet to shop. Digital marketing has made “buying convenience” a possibility, and customers love it. They use technology to communicate their wants and needs to their salesperson. With salespeople eager to keep customers happy, they meet those wants and needs. Customers request vehicles be brought to their house for a test drive or picked up by the dealership to have it serviced. As salespeople comply, fewer customers feel the need to go into dealerships, as they turn to the internet instead. It is online where customers research car information. Before, they relied on their salesperson for it, which used to require a dealership visit. This is no longer the case. It is the internet that is the new dealership. Digital marketing changed customer accessibility and created “The virtual salesperson.” Customers expectations have massively grown, and the buyer’s mindset is significantly different than it was at one time. They want the ability to reach their salesperson at any and all times of the day. Dealership hours no longer determine when customers can reach out and attempt to buy a car. Be mobile ready. 58% of auto shoppers agree that in the future their smartphone is likely to be the only device they will use for vehicle research. People seek to connect with their virtual salesperson via online content, social networks, text messaging, and other software. People have 2X more interactions with brands on mobile than anywhere else—that includes TV, in-store, you name it. Put your time and efforts into meeting customers where they are. The more accessible a salesperson is, the more likely customers will stick to buying from them and not the “time-limiting” competition. Think your website is only about Search Engine Optimization (SEO) and exists merely because of OEM requirements, think again. Your inventory, pictures, videos, and website content play much more prominent roles. The most frequently accessed content on automotive shopping websites are model information. Take extreme care of your dealership website as is the new car showroom. Keep car pictures up-to-date and content looking “spotless,” just as you would inside your showroom. Ensure there is a direct way customers can contact a person on your website. This is similar to that of having a receptionist in the showroom at your dealership. If your website is sluggish and takes too long to load, customers will view this like they would a salesperson taking too long to connect with them in the showroom. Often resulting in customers walking out of the dealership, and now bouncing off your website. There are a very high chance customers will see your website before ever seeing your showroom, in fact, it can impact their decision on whether or not to contact you. Make your website quick, informative, polished, and pristine. “Wow” your customers. Before digital marketing, customers were to rely on television commercials, radio announcements, billboards, and newspaper Ads to connect with what was happening at their dealerships. In today’s world, it is content that is the new connector. Customers want clear, real, authentic content they can rely on and relate to. They prefer it over Ads. The more organic content salespeople create, the more they will connect with customers. When there is an increase in customer connections, the result is a rise in leads, prospects, and car buyers. The CMI’s digital content marketing stats show that 72% of marketers say content marketing increases engagement. In addition, 72% say it has increased the number of leads. With that said, every salesperson is creating content. Make yours align with your core values, brand, and personality to attract people. Think outside the traditional box and produce organic content that cannot keep customers away. The average car-buying process includes a shocking 900 digital interactions, including very important consumer questions like: “Which car is best?” “Am I getting a good deal?” or “Can I afford this?” You can create cool, unique, and high-quality content from these questions alone! If you are a car salesperson, it is difficult to think that you no longer sell cars, but the truth is, you do not. Your job has changed. Today, your duty is to sell the “Customer experience.” Cars come and go, but unique customer service is why customers will choose you. As today car buyers are much more informed about vehicles, they are no longer in need of being “sold” a car. Instead, they can pick any dealership, nearby or far away, as long as it sells the vehicle they are looking to purchase. Therefore, the vehicles and even the price is no longer the differentiator. It is the customer experience you provide. A study showed, 54% of consumers would buy from a dealership that offers their preferred experience, even if it didn’t have the lowest price. People turn to your digital marketing efforts to see how well you treat your customers. Are you responsive? Actively listening to their needs? And providing information, they can use? These, along with many others, give customers the reason why they should choose your dealership and you. Stop trying to sell your customers cars. It is now up to you to sell your exceptional customer service. It is this, that will make people want to buy from you. When most people think of currency their minds picture money, but currency comes in many forms. One popular form of currency you and your dealership must focus on is how to grab and keep the attention of customers. This includes online engagement, customer communications, and content visitors. The better you are at personalizing your digital marketing, the more people will want to interact with you. The connections you make with potential car buyers, the more eye-balls your content will receive. With an increase in people looking at what you are doing online, the higher the possibility of them wanting to know more about you and your dealership. As a result, you gain trust and build loyalty with customers. Eventually, you will be able to take the “potential” out of the potential car buyer, and the eye-ball currency, you have been receiving, will turn into the what you pictured initially… money. Digital marketing has transformed the car buying experience, turning many methods into newer ones. Including job roles and the buyers journey. It all comes down to knowing what customers want and where they will go to get it. As a sales manager or salesperson, your newly gained knowledge combined with your digital marketing efforts, is how you can make a real difference at your dealership. Make the car buying experience your number one priority and watch as your online connections transform into long lasting car buying relationships. 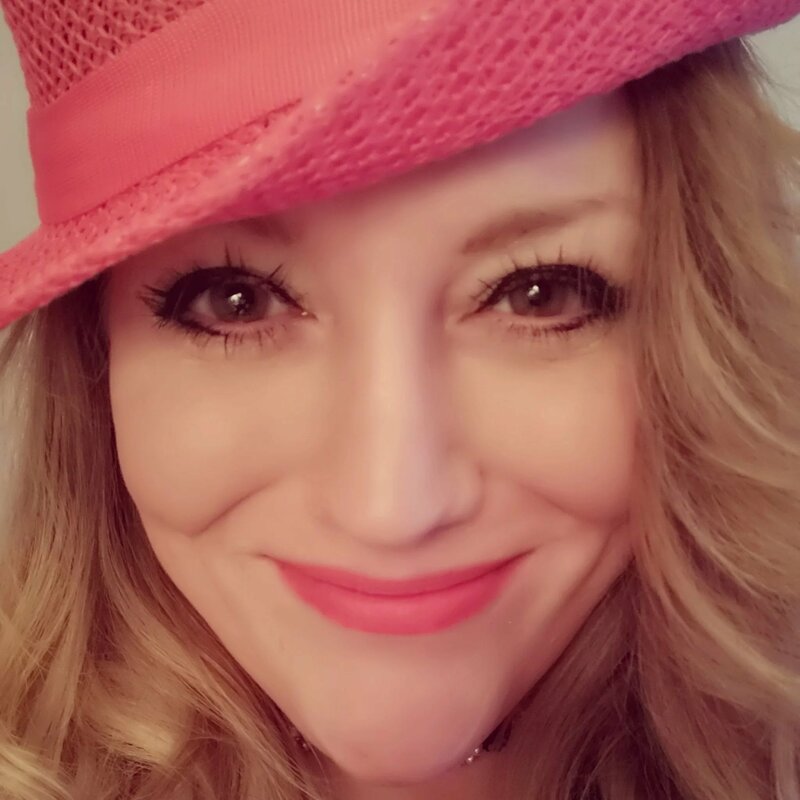 A Digital Marketer, Brander, and Content Writer, Amanda is caught up in “all things internet.” Her purpose in sharing helpful information is to provide readers with content they can actually use.